Strive for development of individual hockey skills! Over the last decades the importance of systematized approach to athletes in team sports has rapidly grown. It is not possible anymore to only rely on the talent of a player and/or quantity of players so you can pick the best and the most talented. The need to resolve systemized preparation of players is beginning to show. 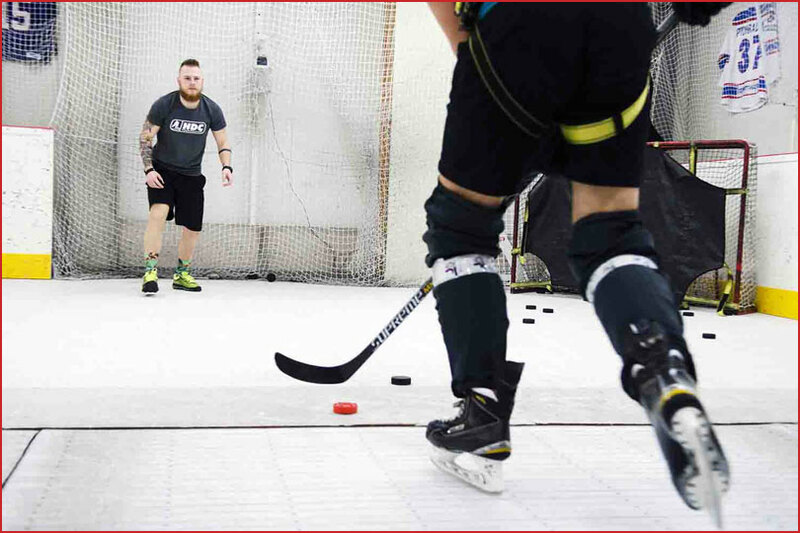 This new approach brings new technologies and methodologies to hockey. 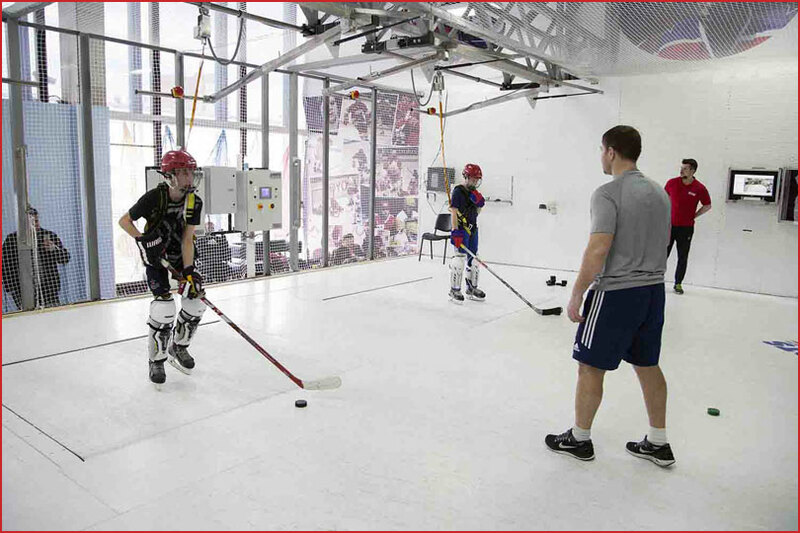 The Hockey Skating treadmill in combination with the correct methodology and with new training routines is the answer to the need for streamlining and improving the quality of individual preparation of a player and team preparation. What do you gain when you use Hockey Skating Treadmill? Improvement of skating technique as well as being more effective (Beginners learn fast the introductory/basic hockey stride). Learn and/or improve multitasking (Stickhandling, shooting, etc. during skating). Learn how to shoot in stride, improvement of accuracy. Increase your skating speed and condition (very important; serves also as a tool for prevention of groin injuries). Use in individualized preparation of a player in a certain area, which is important in the overall preparation. 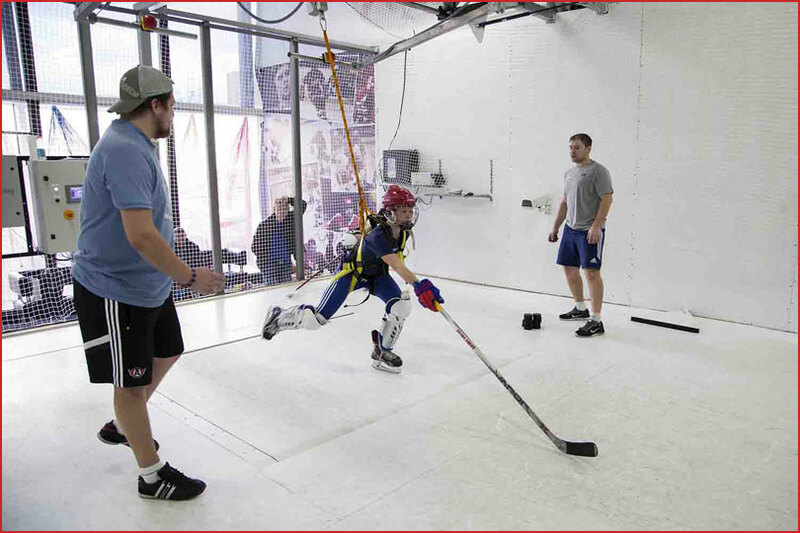 Connecting the Hockey Skating treadmill with Diagnostics (Skating Analysis, determining at what speed the player has the biggest performance/power, condition-ordination skills, etc.) gives even more significant possibilities, with the possibility of getting clear and measureable results.